ZTE has been hitting the headlines a lot lately. After surprising everyone by entering the top-five manufacturer list, it was listed yesterday as one of the Windows Phone 7 partners by Microsoft in their Mango launch event. Today they announced that they are already working on a Mango based handset and it will be launched in Q3 in Europe. 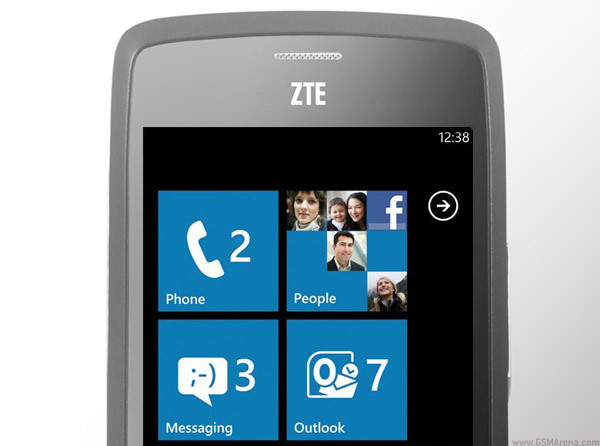 Q1 2011 saw ZTE rank as the fifth largest handset manufacturer after Nokia, Samsung, LG and Apple and shipped close to 60 million handsets last year and plan to ship 80 million this year. They shipped close to 3 million Android handsets last year and expect to quadruple that number this year. Now they will be racing manufacturers such as Nokia in getting their own Mango based handsets first out in the market.